HAMILTON, Ohio, May 24, 2018 – OPW announced today the names of its Dover Sons & Daughters Scholarship Program winners. The Dover Sons & Daughters Scholarship recognizes outstanding high school seniors and current college students who are the children of Dover employees and who have demonstrated excellence through their academic record, test scores, leadership abilities and through their extracurricular activities and work record. Awardees may receive up to $10,000 in undergraduate scholarship support contingent upon maintaining academic and program eligibility. Now in its seventh year, this program has made 256 awards totaling over $1.6 million in scholarship support. 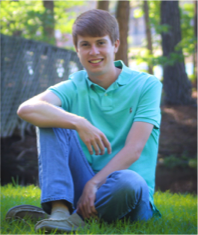 Ryan Ambrose, a 2017 graduate of North Johnston High School, was selected to receive a $2,500 scholarship for the 2018 – 19 academic year. In the fall, Ryan will begin his second year majoring in Pharmacy at Campbell University in Buies Creek, North Carolina. Ryan is the child of T.J. Ambrose who is employed at OPW Retail Fueling, a Dover company. 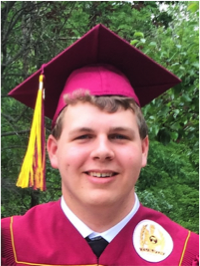 Will Hausfeld, a 2018 graduate of Turpin High School, was selected to receive a $2,500 scholarship for the 2018 – 19 academic year. Will begins his first year of college in the fall and will major in Aerospace Engineering at the University of Cincinnati. Will is the child of Linda Hausfeld who is employed at OPW, a Dover company. 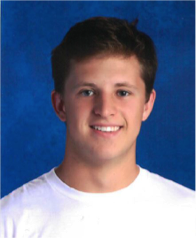 Cary Hoarty a 2017 graduate of Turpin High School, was selected to receive a $2,500 scholarship for the 2018 – 19 academic year. In the fall, Cary will begin his second year majoring in Mathematics at the University of Cincinnati. Cary is the child of John Hoarty who is employed at OPW, a Dover company. 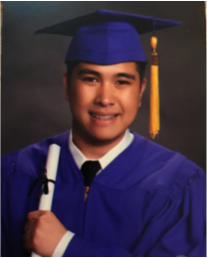 Jeremy Reyes, a 2018 graduate of Archbishop Riordan High School, was selected to receive a $2,500 scholarship for the 2018 – 19 academic year. Jeremy begins his first year of college in the fall and will major in Mechanical Engineering at Santa Clara University in California. Jeremy is the child of Jovie Reyes who is employed at OPW Retail Fueling, a Dover company. Dover is a diversified global manufacturer with annual revenue of approximately $8 billion. We deliver innovative equipment and components, specialty systems, consumable supplies, software and digital solutions, and support services through four operating segments: Engineered Systems, Fluids, Refrigeration & Food Equipment and Energy. Dover combines global scale with operational agility to lead the markets we serve. Recognized for our entrepreneurial approach for over 60 years, our team of 29,000 employees takes an ownership mindset, collaborating with customers to redefine what's possible. Headquartered in Downers Grove, Illinois, Dover trades on the New York Stock Exchange under "DOV." For 125 years, OPW has led the way in designing and manufacturing world-class retail fueling, fluid handling and vehicle wash system solutions for the safe and efficient handling and distribution of fuels and critical fluids. OPW makes above ground and below ground products for both conventional, vapor recovery and clean energy applications in the retail and commercial markets. Additionally, OPW supplies loading arms, valves and dry-break couplings, tank truck equipment, rail car valves and equipment, and car wash systems. OPW has manufacturing operations in North America, Europe, Latin America and Asia Pacific, with sales offices around the world. OPW is part of the Dover Corporation, which is publicly traded on the New York Stock Exchange under “DOV”. To learn more about OPW, visit our website at www.opwglobal.com. The Dover Foundation was established in 2011. The Foundation is tax exempt under Section 501(c)3 of the Internal Revenue Code. The Dover Foundation is committed to supporting causes and programs that promote education and enhance the lives of Dover Company employees and their families. One such program is the Dover Sons & Daughters Scholarship Program.